Is 2019 a good year to be a mortgage intermediary? 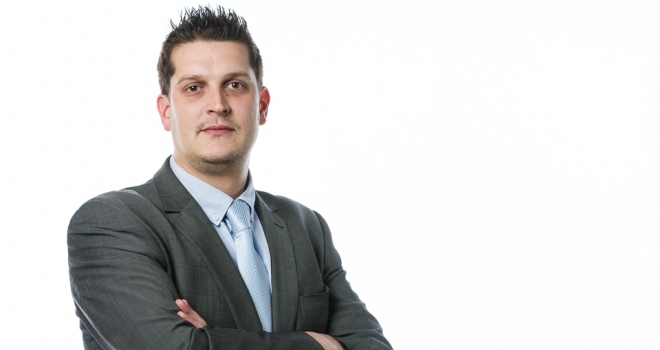 "Mortgage intermediaries need to be far more flexible than their predecessors." Let’s be honest, there have been years when intermediaries have made far more money for far less work. On the other side of the coin, there have also been years where firms have had to battle through levels of adversity never experienced before in the UK financial services sector. Shawbrook’s Broker Barometer recently highlighted that the majority (56%) of mortgage brokers felt confident about business growth in 2019 despite the uncertainty around the UK’s exit from the European Union. It also found that seven in 10 (69%) felt confident about the lending environment this year. In additional research, some three quarters of intermediaries (75%) expect business sales to increase in the next 12 months. This is according to Masthaven’s ‘Broker Beat’ survey which found that Brexit and stagnant house prices would not negatively affect the lending market, with only 2.5% of professionals in the sector expecting to see sales decline. Instead, respondents believed that lending criteria (35%), regulation (27%) and lack of innovation (18%) will be the biggest growth challenges for the year ahead. When asked about customers’ needs for 2019, intermediaries noted that more complex circumstances mean that clients have requirements beyond simply getting a cheap deal. Almost a quarter (23%) of brokers said customers were more likely to prioritise flexible lending criteria, and only 5% believed low fees to be a priority for customers. However, low rates (35%) were still thought to be top of customers’ agendas. We all realise that uncertainty surrounding Brexit is not ideal for anyone, and it’s great to see such optimism in times when many businesses could be sitting back and feeling sorry for themselves. As pointed out in the Masthaven data, some of this optimism is down to the fact that much of the business generated over 2018 did not rely on new borrowing. Maximising existing client databases is obviously nothing new but the modern mortgage market dictates that all businesses need to make the most of what they already have, and what’s readily available to them. Mortgage intermediaries need to be far more flexible than their predecessors. In order to back up this optimism many are utilising tools which enable them to operate more efficiently and effectively on a day-to-day basis. At a time where we’ve seen a number of lenders cease new lending, whether long or short term, intermediaries need to ensure they have the right tools at their fingertips to enable them to switch cases quickly and effectively. This is not about lenders pulling out of the market, it is about how quickly the market changes and how beneficial it is for intermediaries to have data stored on their systems so there is no need to waste time rekeying information if application processes don’t go to plan – as is sometimes their want.